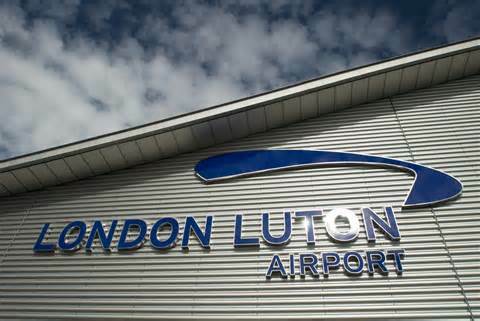 Home > Blog > December Travel Tale of Luton Airport. There is a lot going on at the UK airports this December. It usually is busy around this time of year for a lot of people are traveling home to join their families in Christmas celebrations. There was a recent delay in flights at all the airports caused by some technical failure at NATS. But it was recovered soon and now all the systems are functional as they were. These system failures do get on ones nerves for its not nice feeling that you are going to miss out on fun and joy of Christmas with your family. The passengers who got delayed were accommodated which made the Luton a bit busier than usual. Great Numbers of passengers have been booked to fly through Luton this season breaking all the previous records. Most of these passengers are due to depart on Sunday 21 December. It’s the last weekend before Christmas hence the busiest. Sun Express which is based in Turkey has announced a new route to Izmir, Turkey starting from 11 July next year. There will be a flight each Saturday and Wednesday with the fare prices from £77 where the allowed free baggage is 30kg. There are other companies like EasyJet that have opened up new pathways and increased the number of aircraft at the airport too. There will be 4 new locations including an upcoming surfing location for summers at Essaouira in Morocco. The airport also had a booming summer season with record breaking number of passengers and is currently undergoing a £100m development. All of these passengers coming and going through the airport require some place to park their vehicles too. They also need some security assurance for it too. The best solution to this is advance Luton Parking reservation of a dedicated spot. This way you can go on your vacation entirely stress free and relaxed. Previous PostFlights Turmoil due to the NATS System Meltdown.Next PostA Tale of Gatwick Airport.